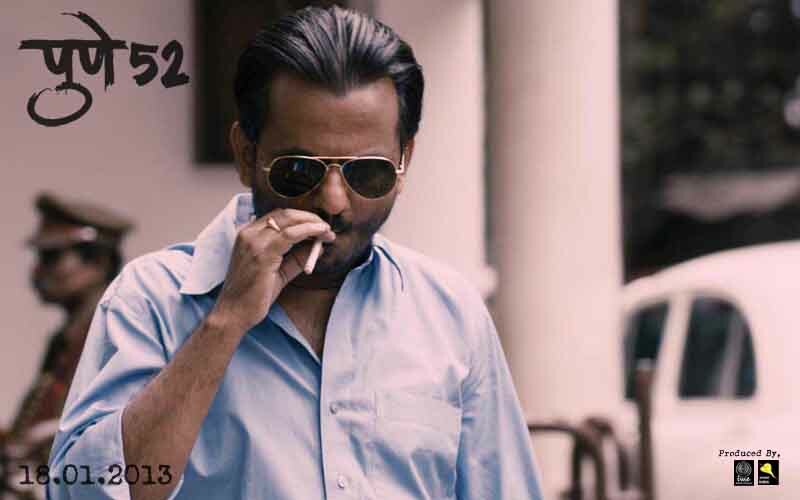 The life of a private detective undergoes a dramatic change when he takes up a case that is deeply personal and highly complex. 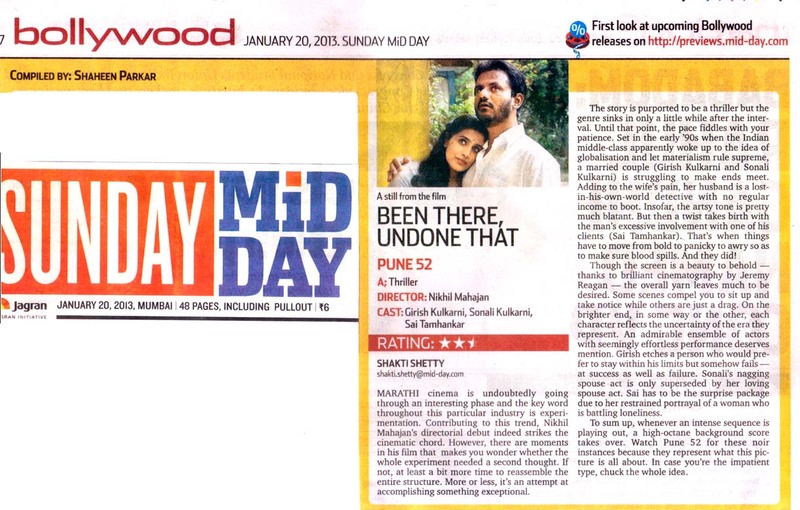 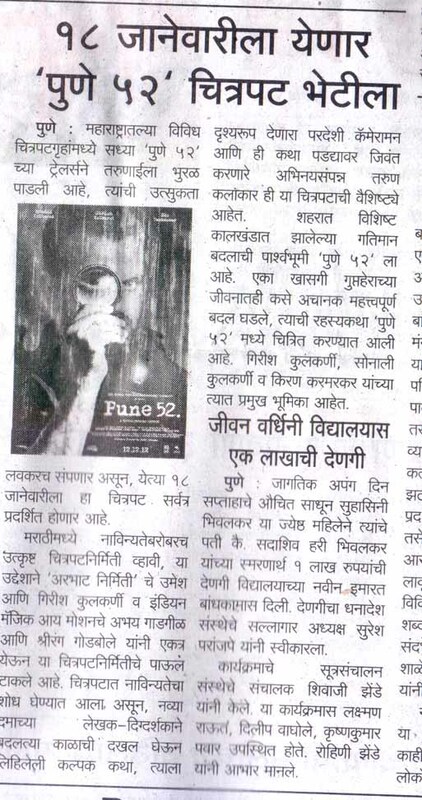 Set in the year 1992, against the backdrop of the finance reform policy that spiraled the Indian Middle Class in a tizzy of consumerism, reforming everything, including their relationships, PUNE 52 is an heartbreaking love story blended in a edge of the seat thriller. 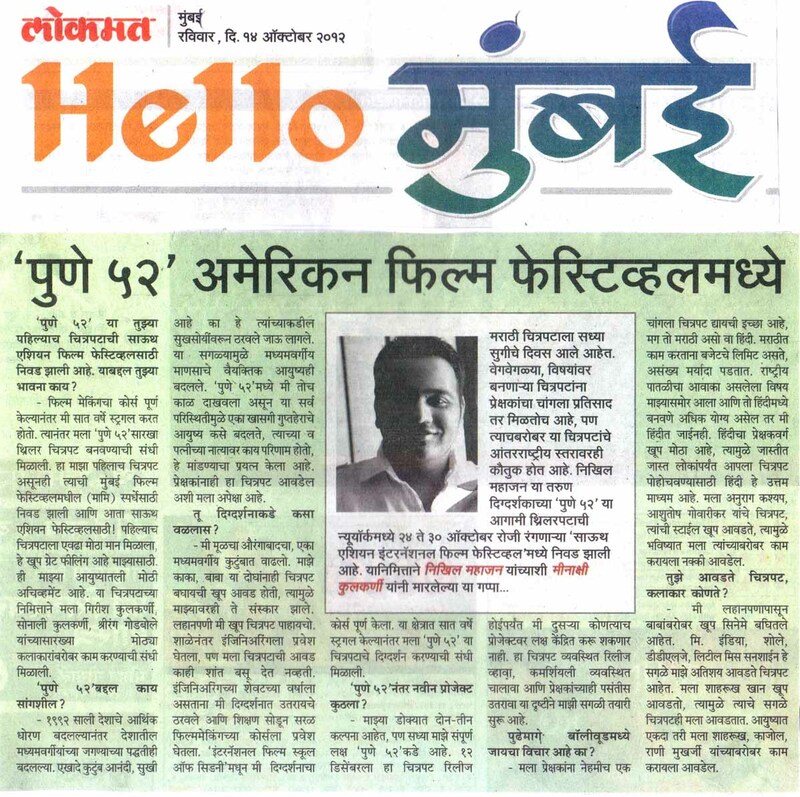 Nikhil Mahajan is a graduate in film direction from The International Film School Sydney, Australia, and comes from an academically inclined Middle class family. 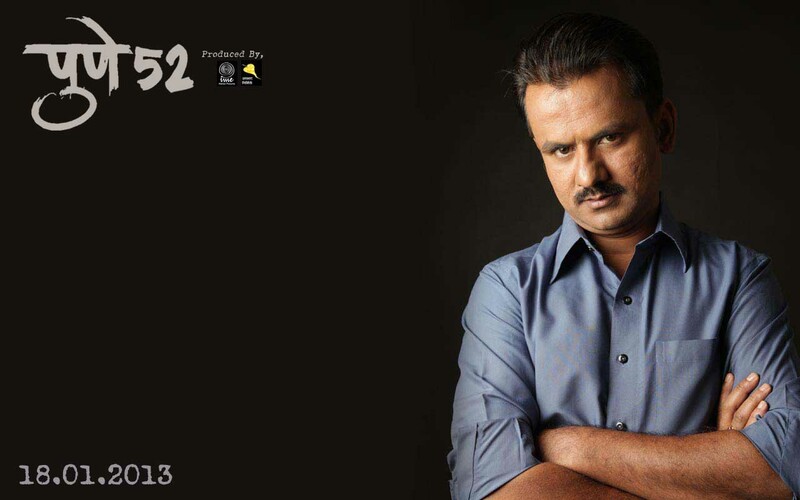 Growing up on Bollywood cinema, making films was possibly the only thing that Nikhil could imagine himself doing. 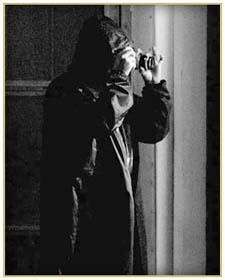 The idea of making a film about the life of a private detective occurred to me for the first time, when I met a friends uncle who was a private detective. 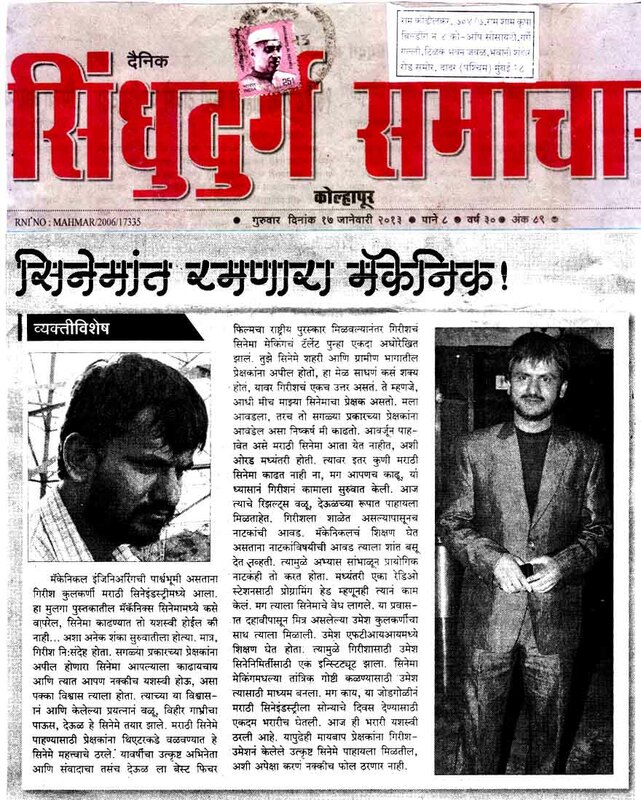 The stories he told me about his profession inspired me to write a drama centered about the falling marriage of a detective. 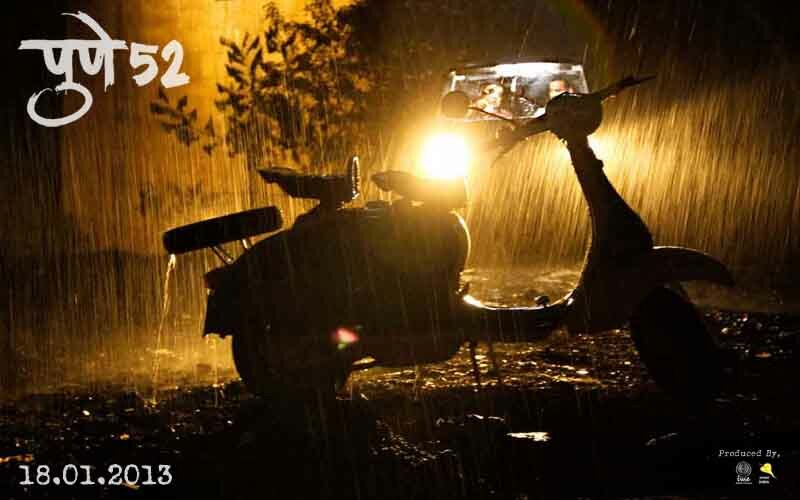 The Indian society underwent a dramatic change post 1992, when the finance reform policy opened up the market for foreign companies - throwing the middle class in a mad tizzy of consumerism, making happiness being measured by your power to buy. 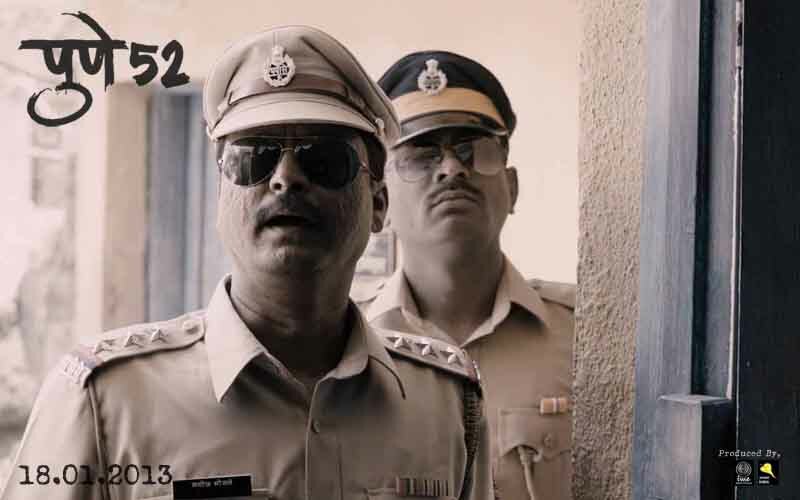 Hence I set the story against this backdrop - however the film is not about the reform policy - and its treated as a mere, subtle backdrop. 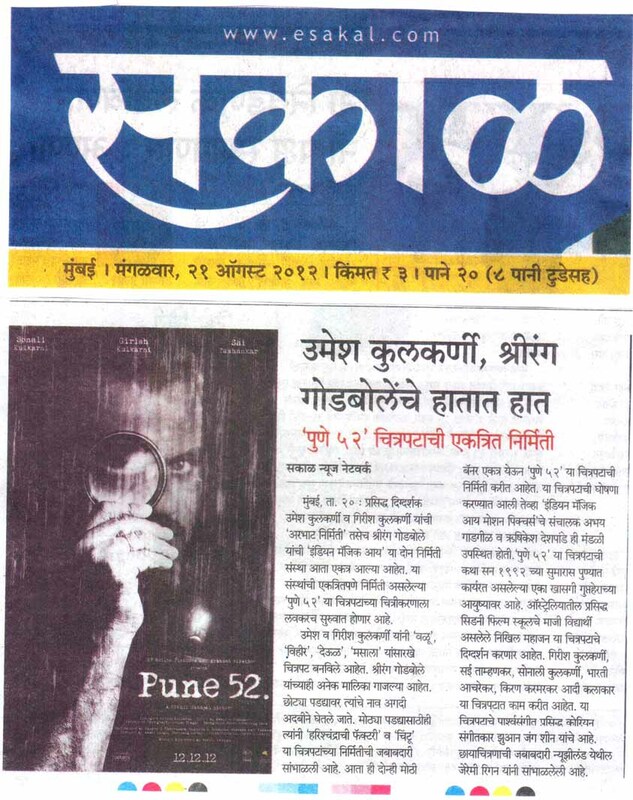 I wrote the story as a noir thriller - trying to achieve a decent blend between a thriller and a family drama, making the process of writing very challenging. 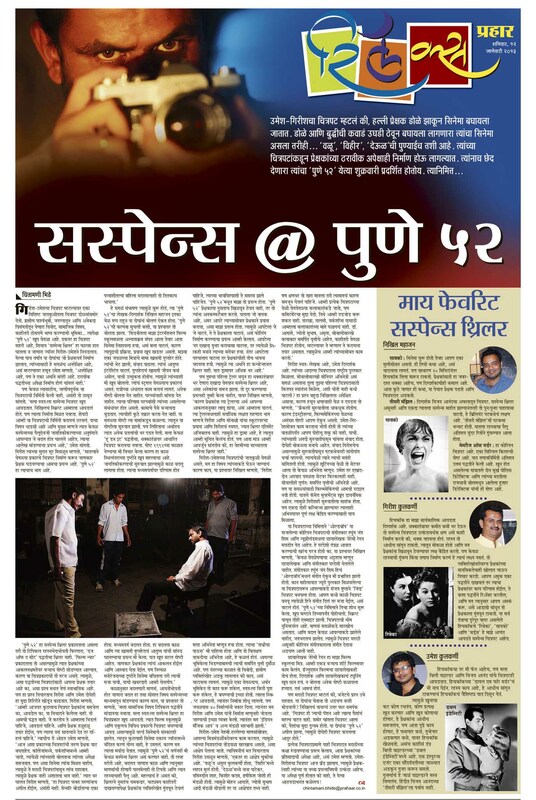 While shooting, we chose very noir lighting techniques and made sure that the film looks the way we want it to. 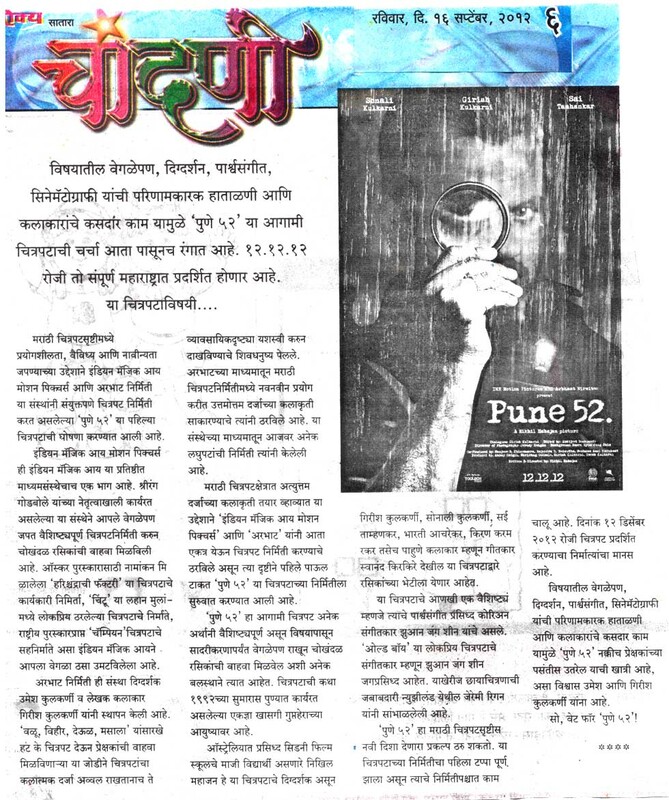 Pune 52 is my first film, and I am very happy by what weve achieved in the budget we got and within the time frame assigned to us. 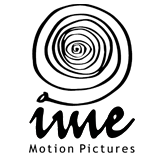 Indian Magic Eye Motion Pictures (IME Motion Pictures) is a film production house based in Pune and Mumbai. 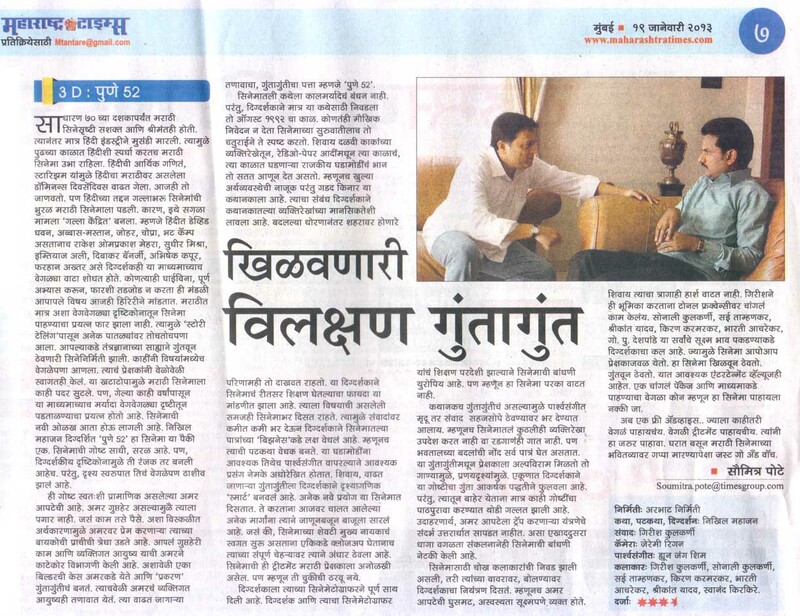 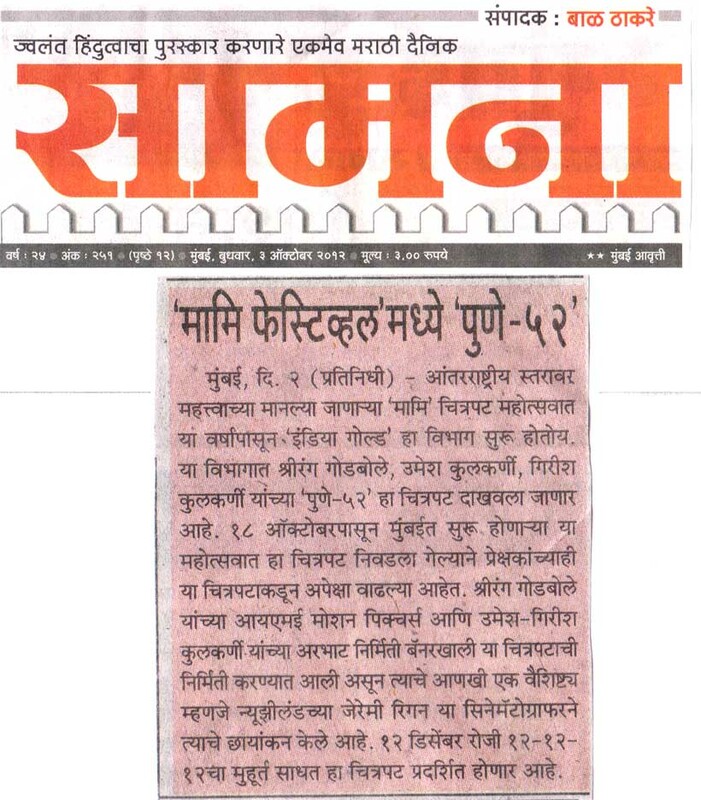 Mr. Shrirang Godbole is the Chairman and Managing Director. 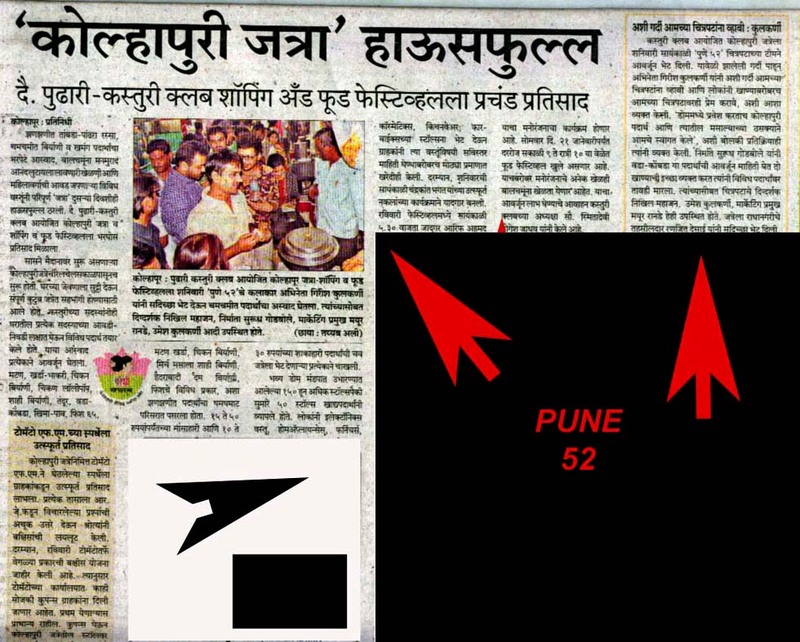 The company is a sister concern on Indian Magic Eye Pvt Ltd., which is a media house based in Pune. 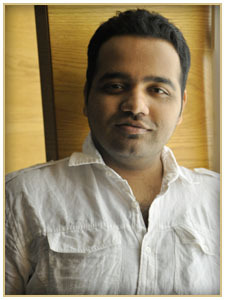 Indian Magic Eye was the executive producer of Harishchandrachi Factory, which was India's official entry to the Oscars. 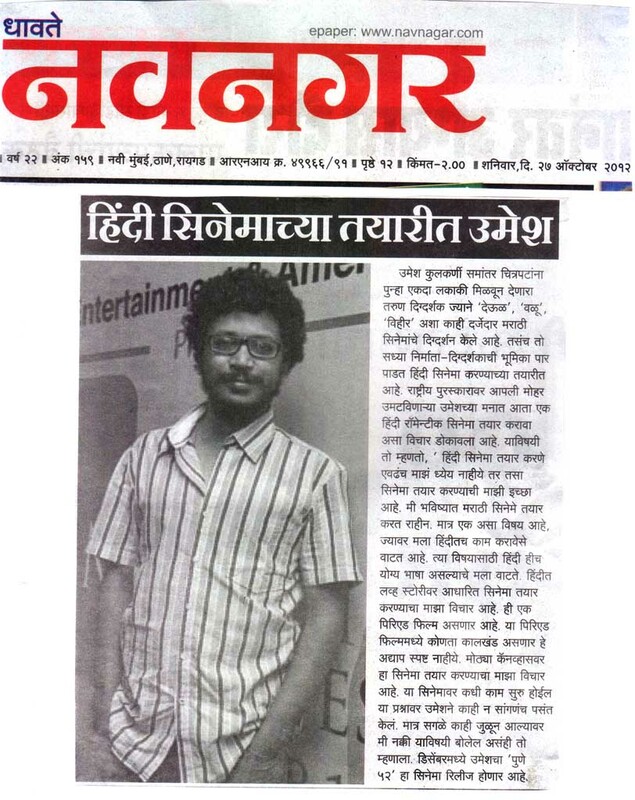 IME Motion Pictures produced the recent children's' hit 'Chintoo'. 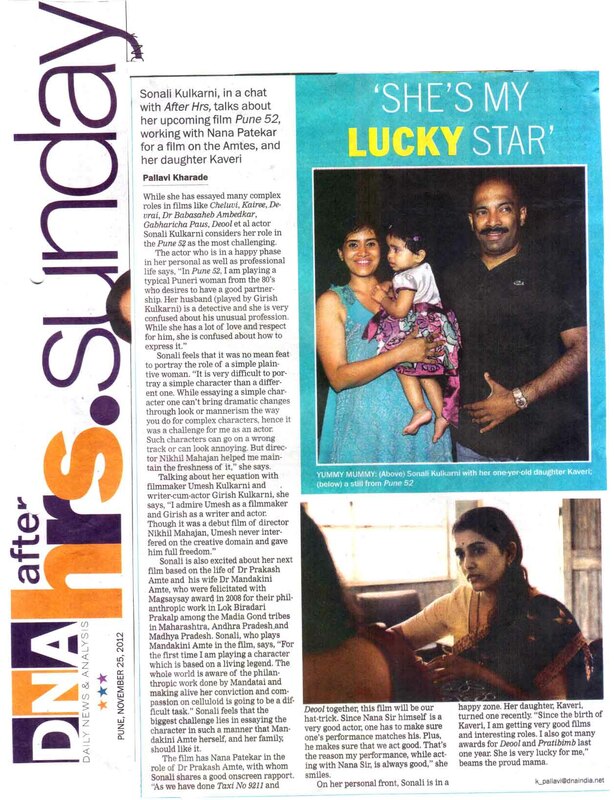 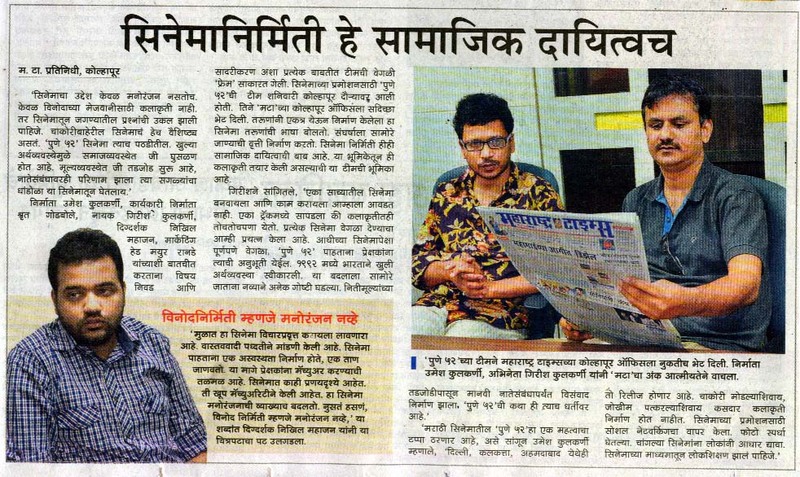 They were also the co-producers of the National Award winning film 'Champions'. 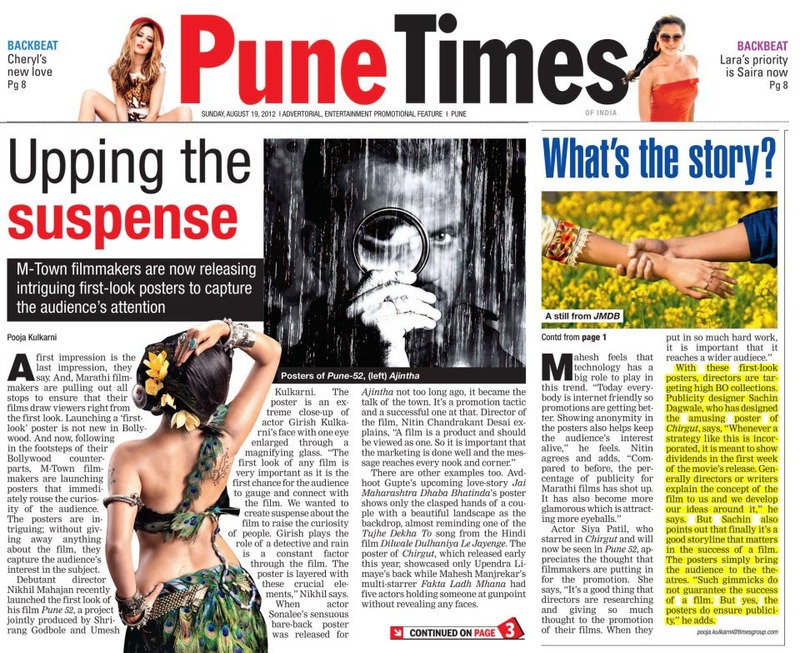 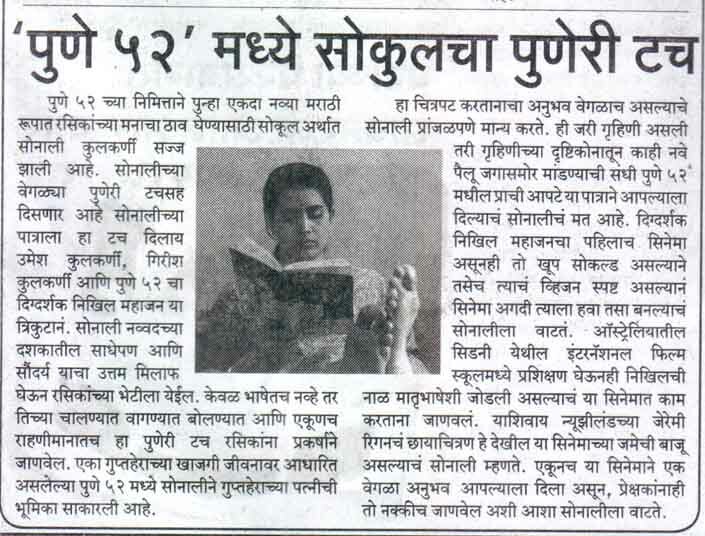 Apart from 'Pune 52', IME Motion Pictures has films like 'Tuhya Dharma Koncha' (directed by Satish Manwar, starring Upendra Limaye and Vibhawari Deshpande) and 'Chintoo - 2' in the pipeline. 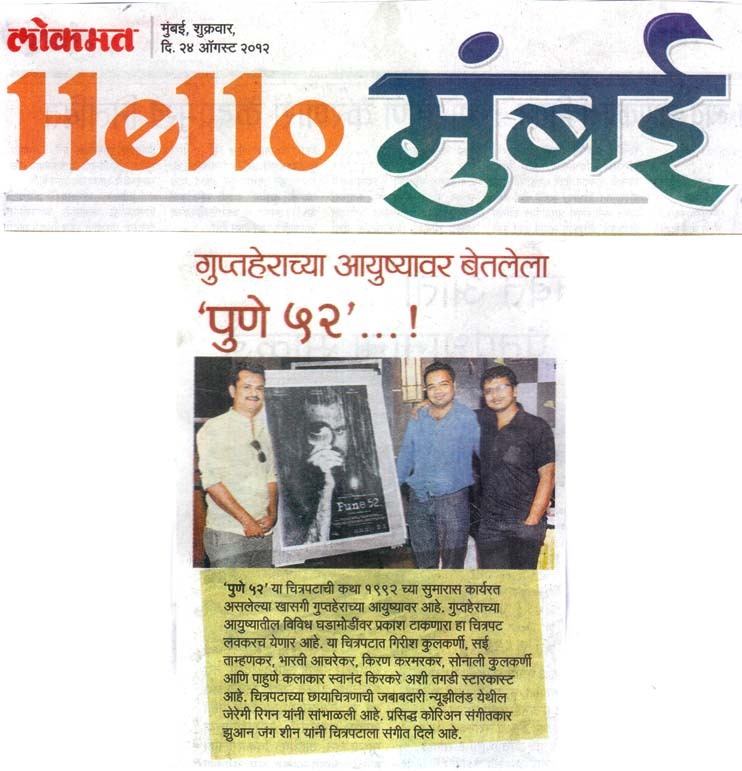 Arbhaat Films is a production company formed by Girish Kulkarni and Umesh Kulkarni with an aim to produce cutting edge films of International standards, primarily in the Marathi language. 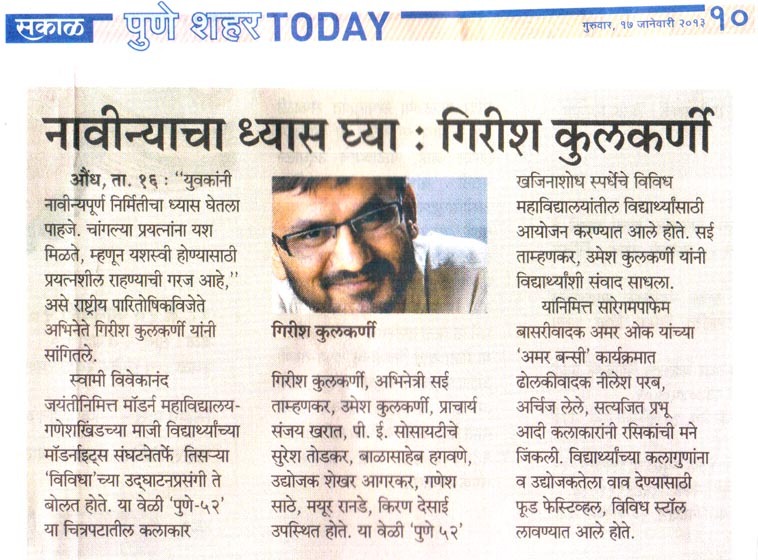 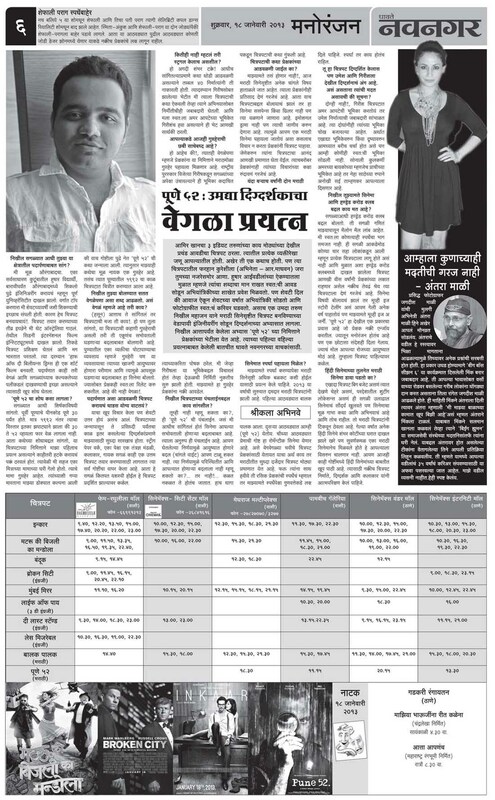 Umesh Kulkarni, a graduate of Film and TV Institute Of India, and Girish Kulkarni, a national award winning writer and actor, have to their credit, four successful Marathi films, VALU (The Wild Bull), VIHIR (The Well), DEOOL (The Temple) and MASALA (Spices), out of which first three films are directed by Umesh Kulkarni himself. 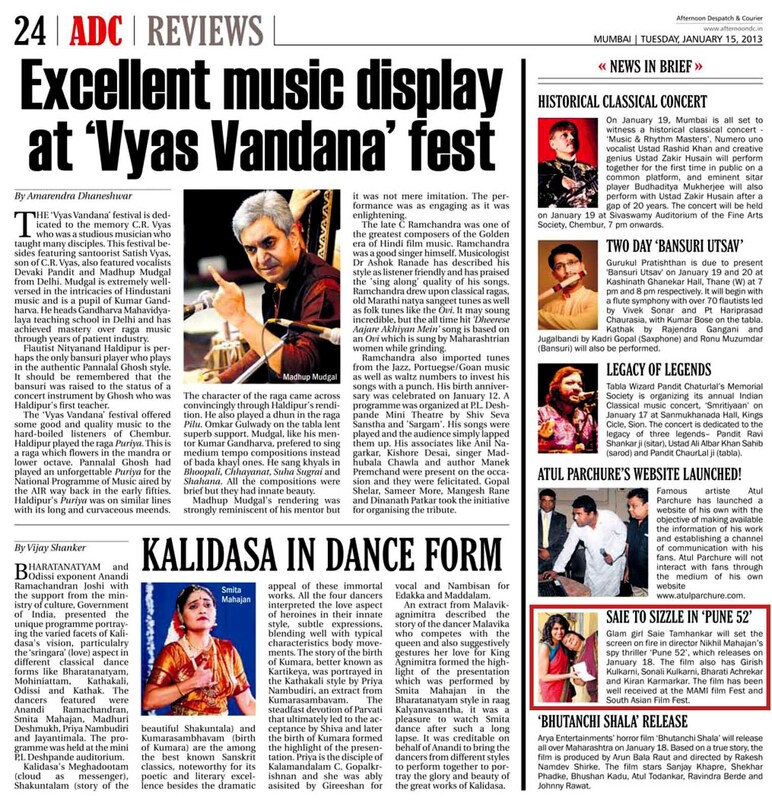 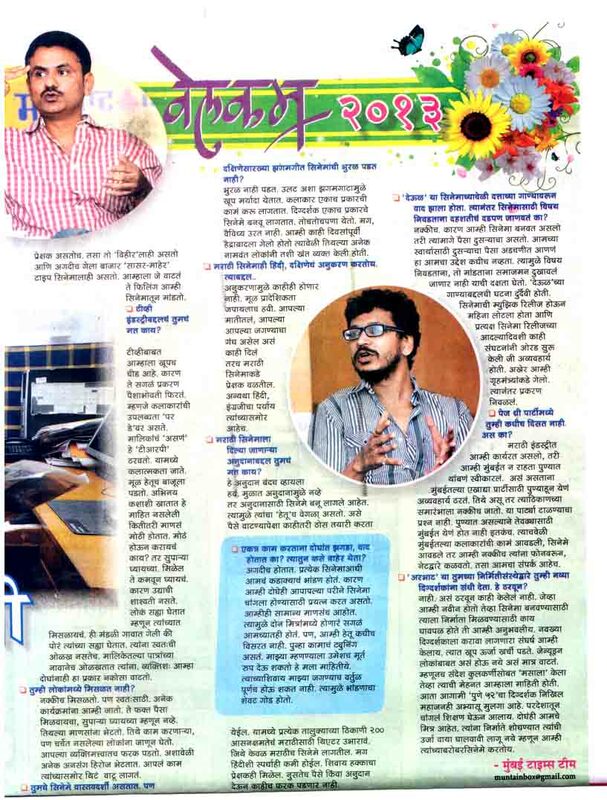 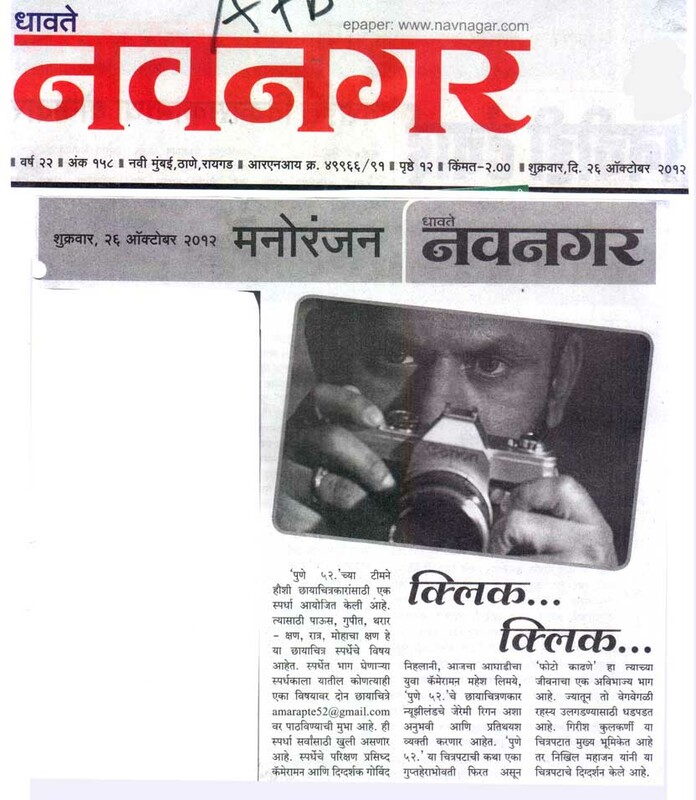 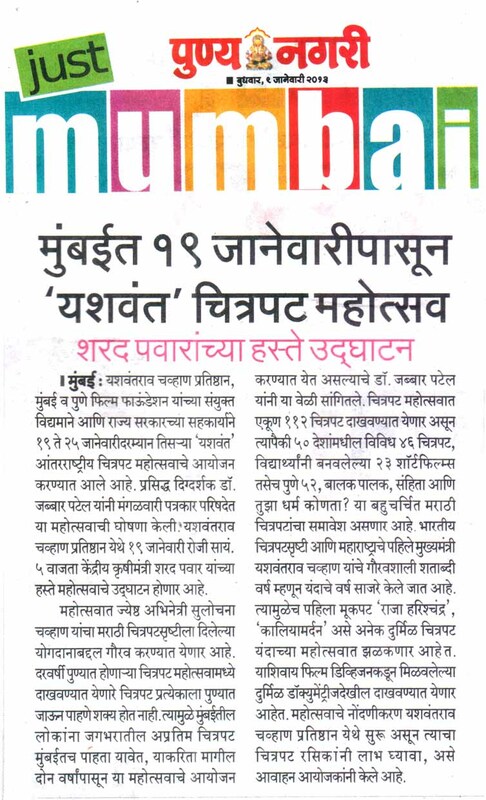 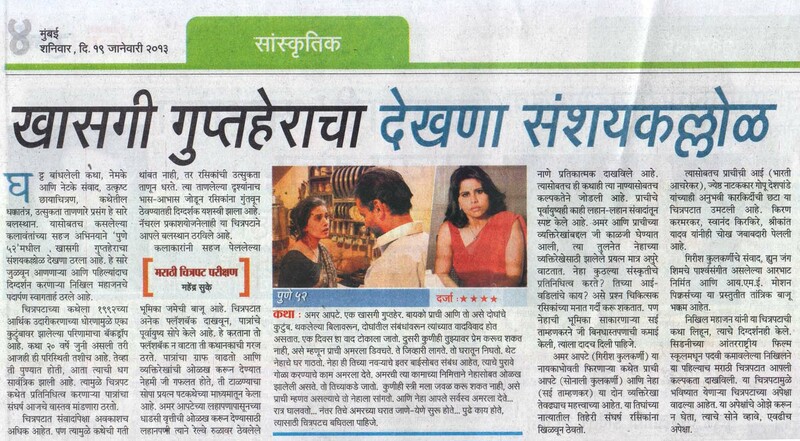 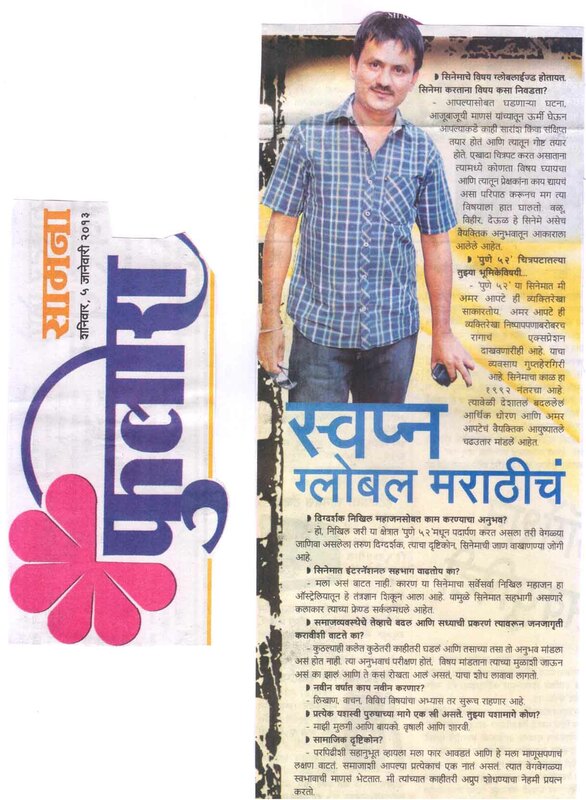 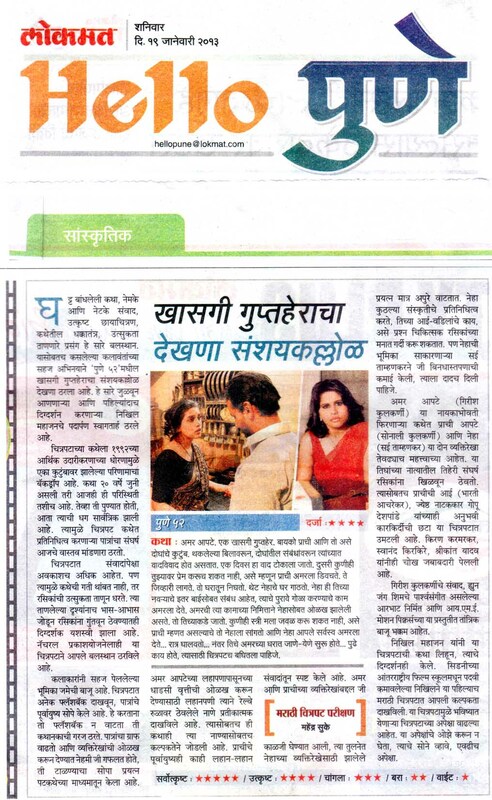 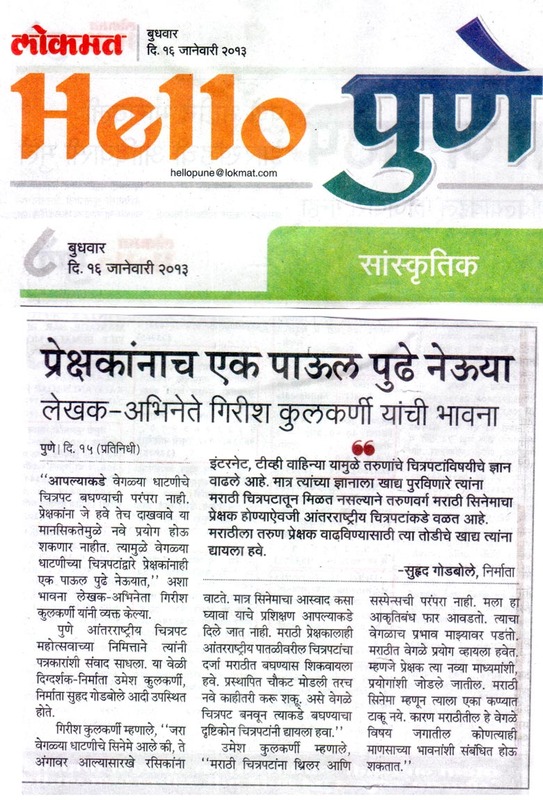 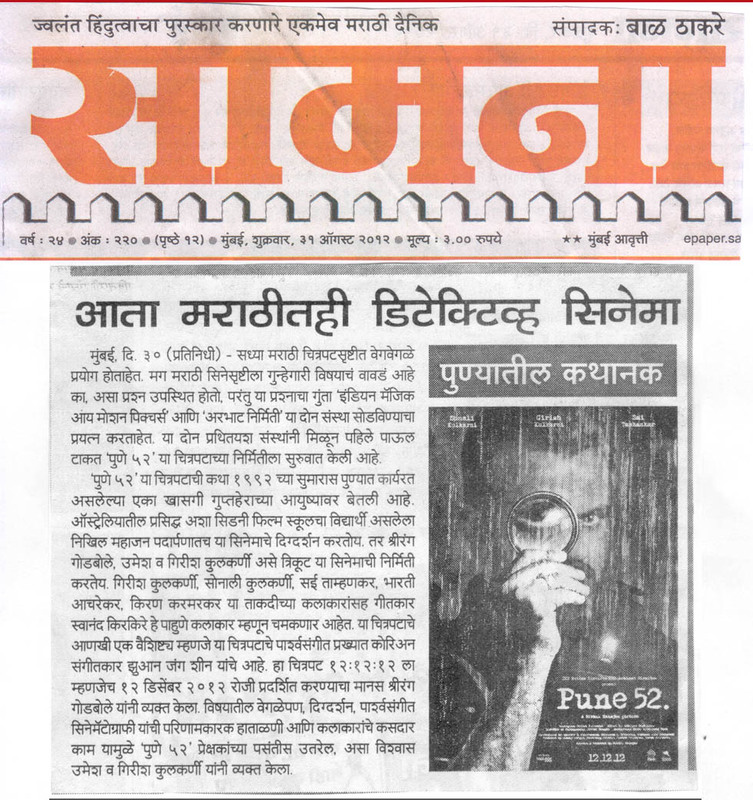 Arbhaat Films has been successful in striking right balance between the artistic endeavor and the commercial viability in all of the above mentioned films thereby creating a unique standing as a production house in the Marathi film industry. 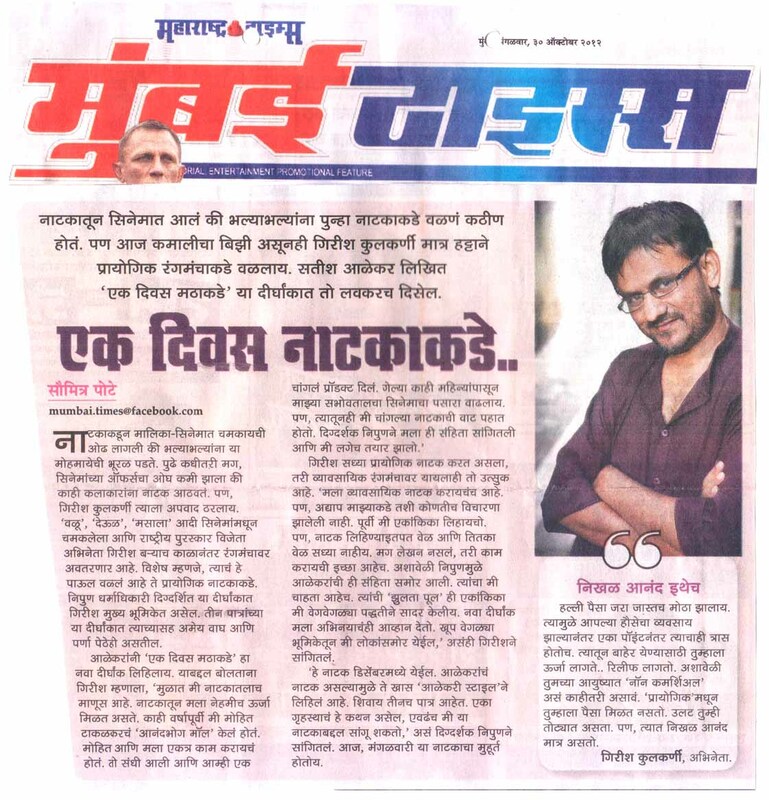 This year, at the prestigious national awards, Deool won the Golden Lotus Award for Best Indian Feature Film and Girish Kulkarni won the Best Actor and Best Screenwriter for the same. 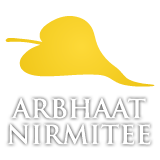 Apart from the feature films, Arbhaat Films has produced various short films and documentaries, relevant to current times. 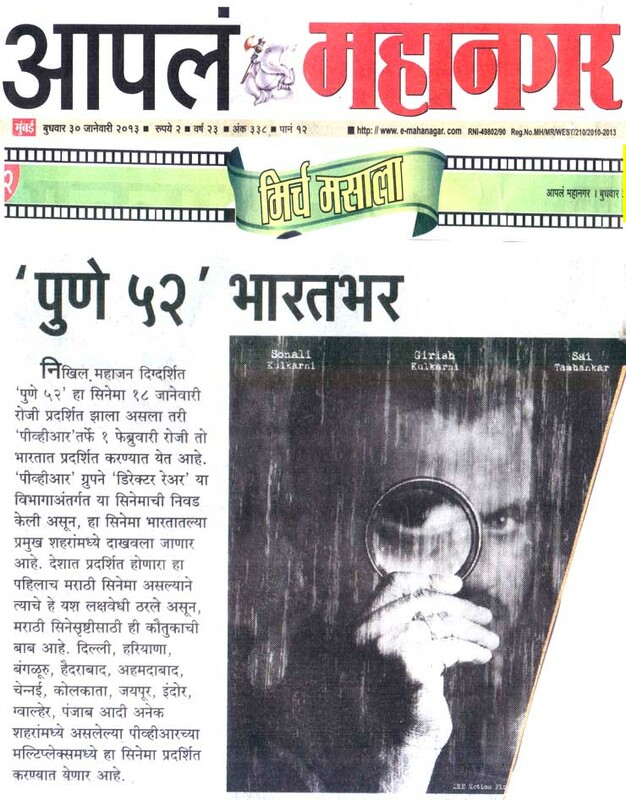 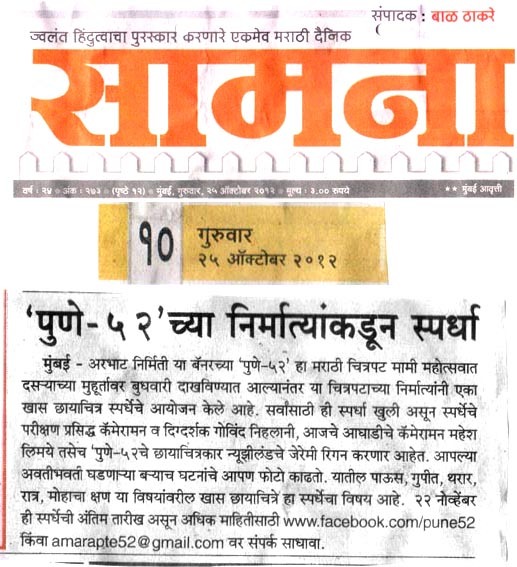 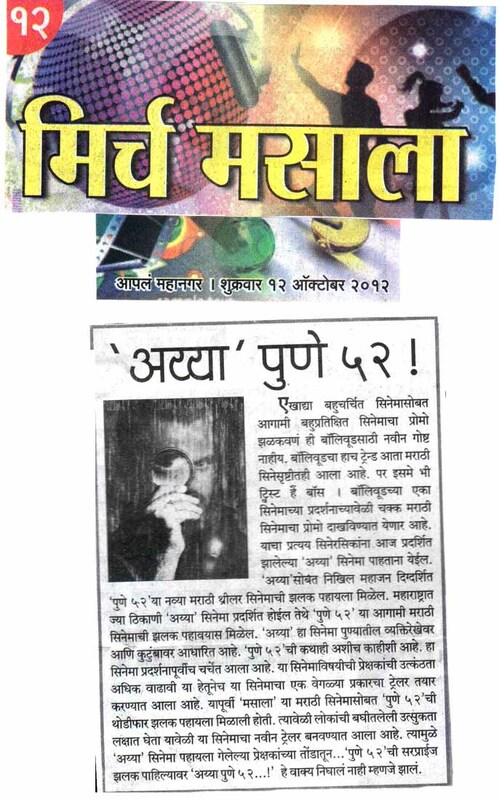 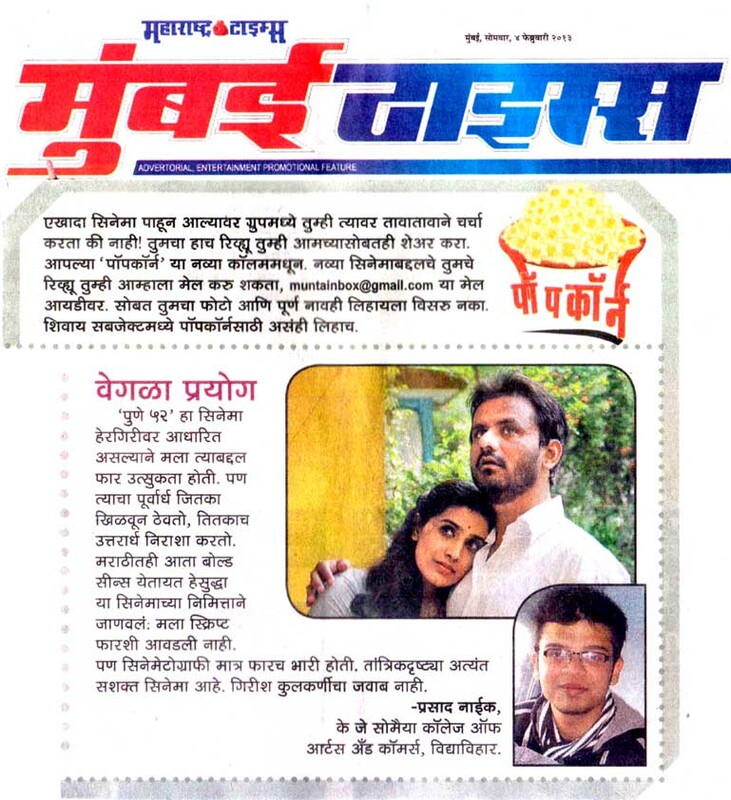 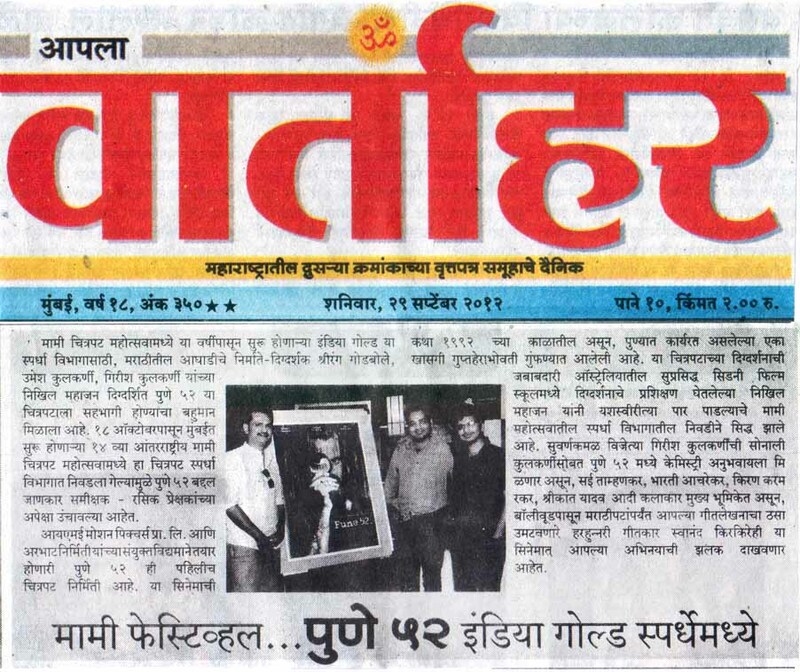 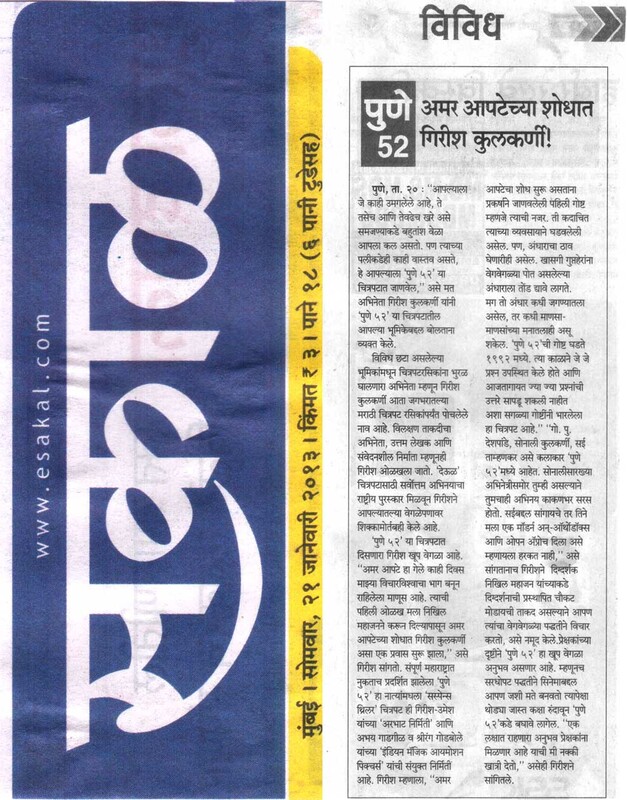 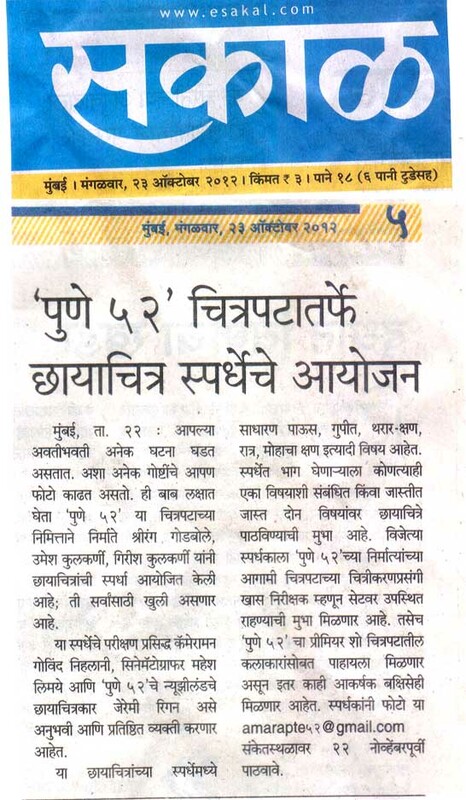 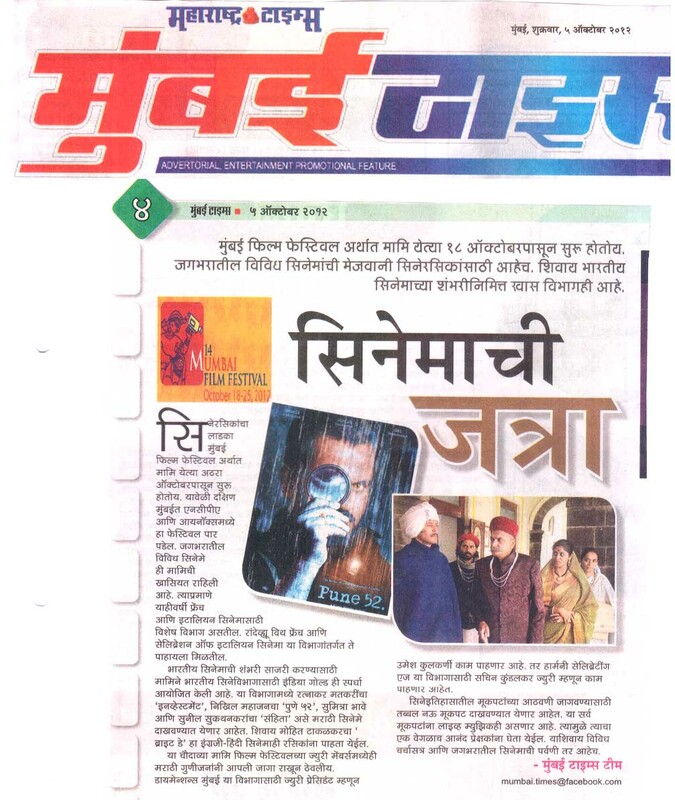 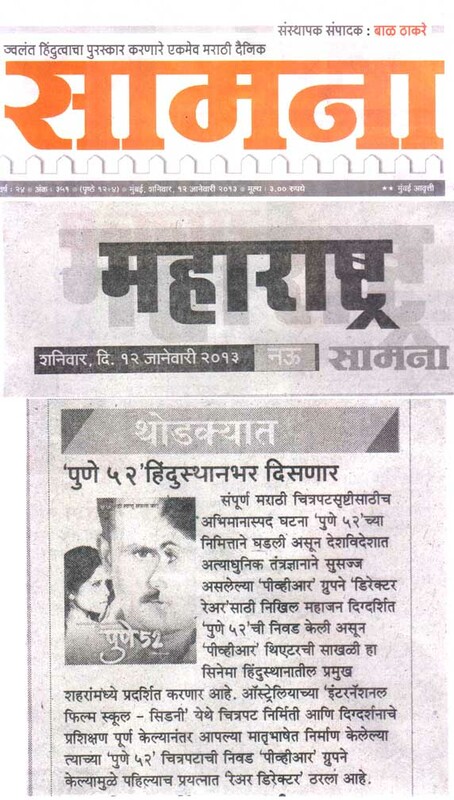 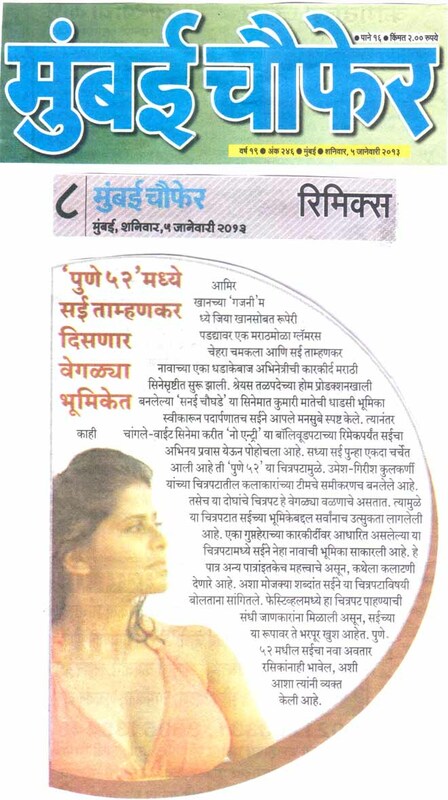 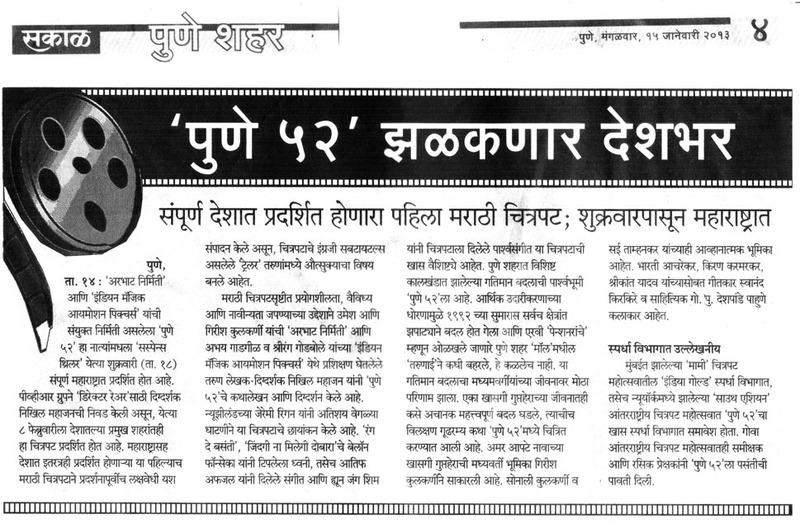 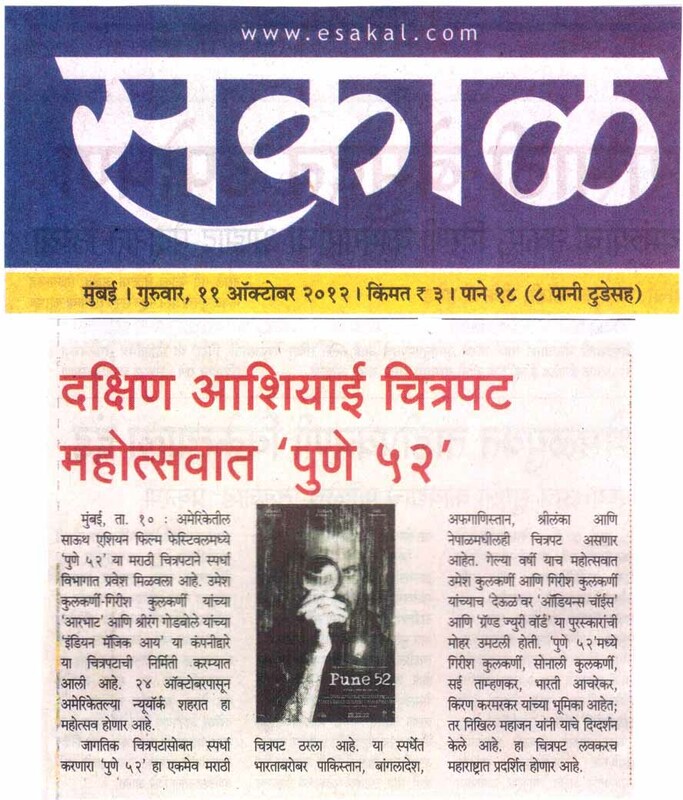 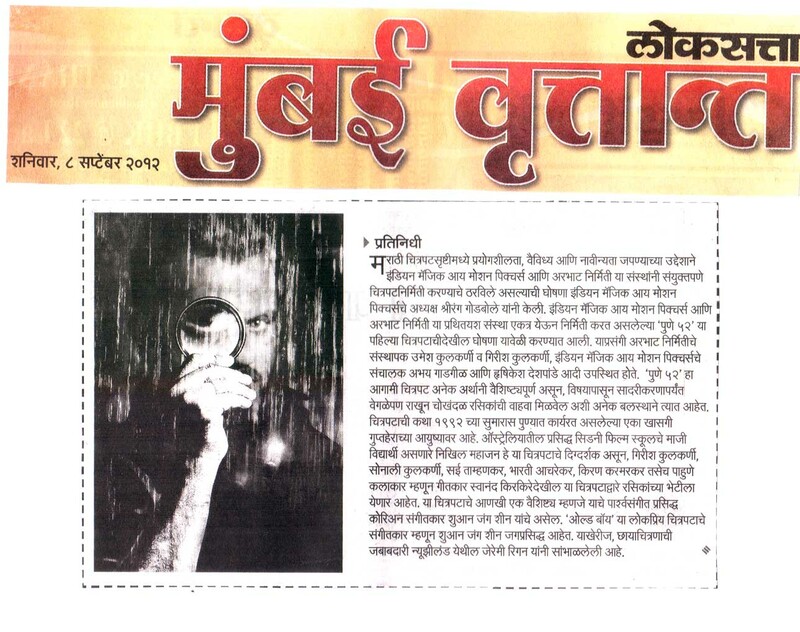 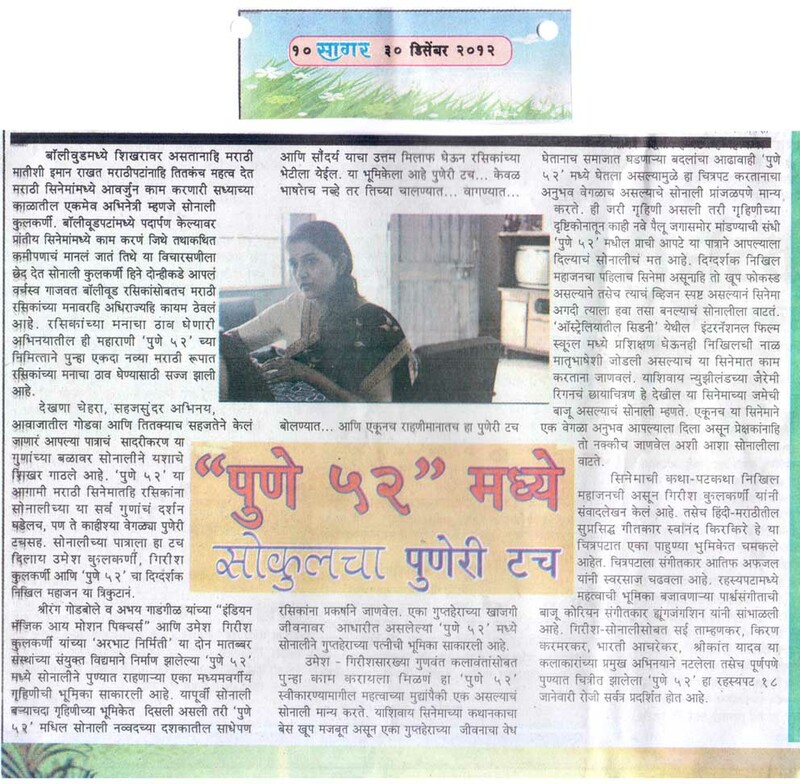 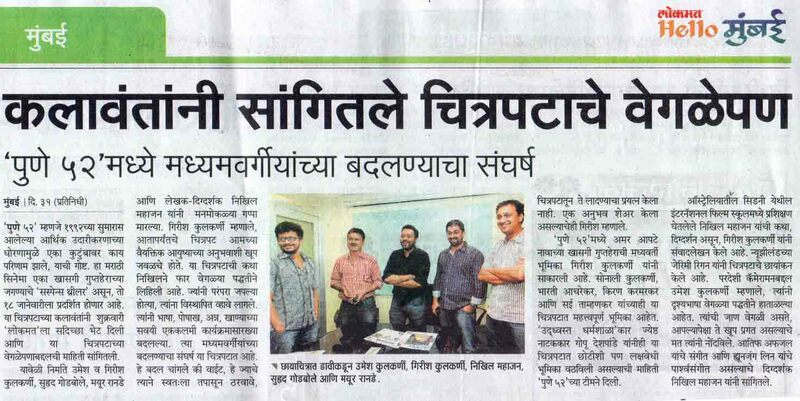 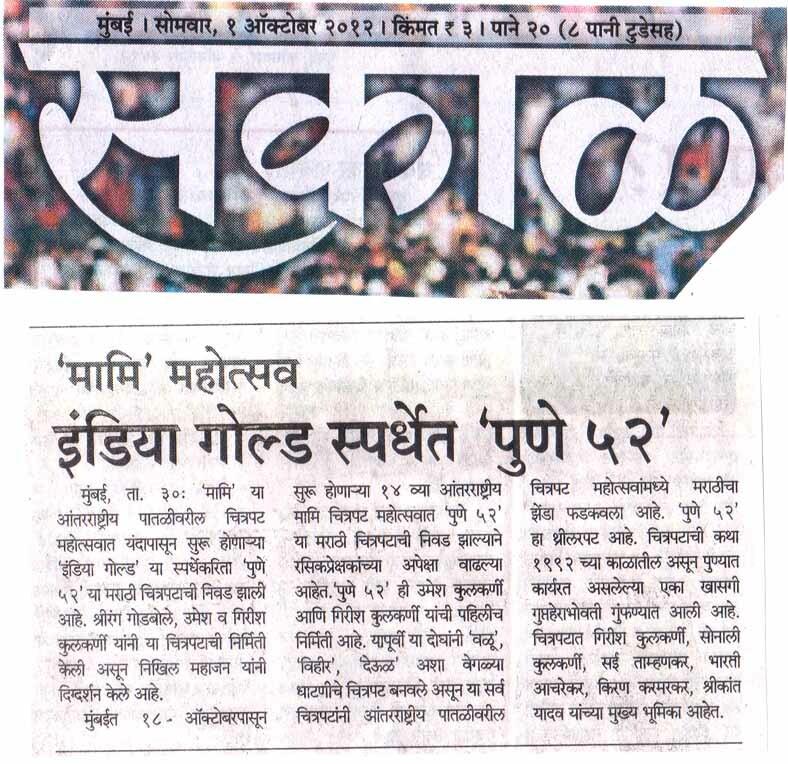 The next project of Arbhaat Films is called film PUNE 52. 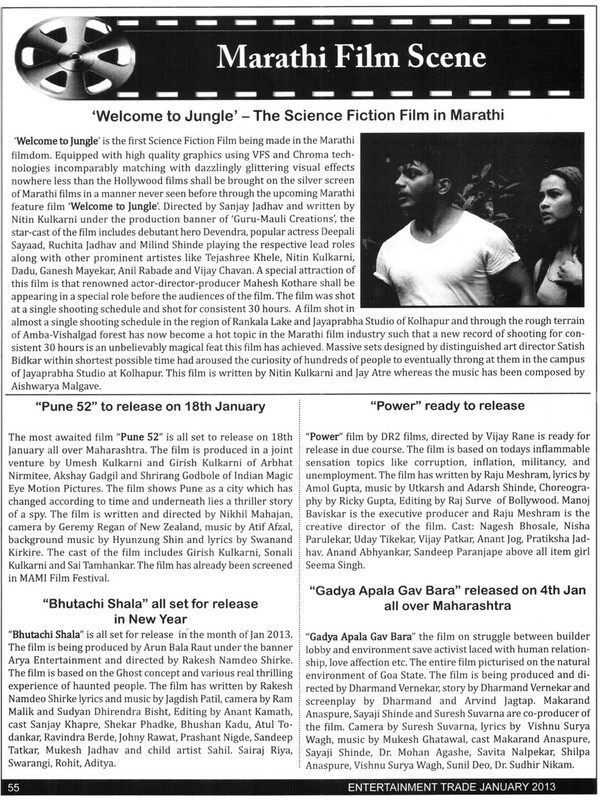 It will be releasing on 18th January 2013.